To Daniel, Homecoming is sharing spared time and a perspective that alters its recipient’s outlook, while also attributing to the maturation and success of the individual. It also sheds light upon the tranquility of fishing for bass on a quiet lake or any body of water. Daniel arrived at DT Spade by way of his skills and experience in commercial and residential real estate. As a Contracted Asset and Development Analyst on a variety of community investment projects, Daniel brings with him a diverse set of skills across the real estate platform, from asset management to joint venture relations. But Daniel’s gifts go beyond his academic and professional success, securing a full ride football scholarship while attending Georgia Tech. Daniel attributes much of his success to the discipline and work ethic instilled in him as an athlete. 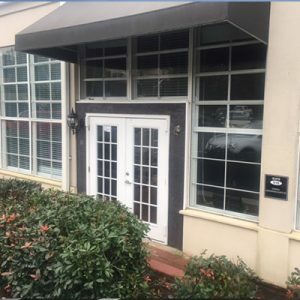 After graduating from Georgia Tech, Daniel became a real estate broker helping buyers and sellers throughout the Greater Atlanta Area. 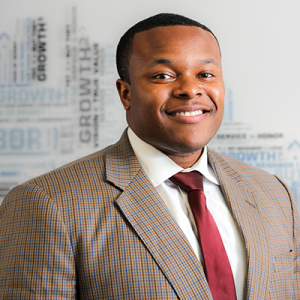 With an embedded love for his community and entrepreneurial spirit, Daniel started his own LLC – proposing housing development projects throughout Atlanta. After 26 years in Atlanta, he’s a loyal hometown sports fan and enjoys the chance to attend any Georgia Tech, Braves, Hawks, or Falcons games. Daniel believes there’s a light at the end of every tunnel, no matter how long it may be. Through hard work, anything is possible and attributes his strong faith in God to the many successes (and challenges) he has accomplished in life. At DT Spade, Daniel’s great work is providing excellent client representation as our Brokerage Partner, delivering our mission with every opportunity, and illustrating various economic opportunities to our clients. Daniel contributes his unique expertise through underwriting and assisting clients in weighing the financial feasibility of their decisions. Daniel helps our clients make the very best real estate decisions for their business. When he comes down from his great work with us, he’s fueling his love of sports, whether it’s cheering from the stands or coaching H.S. football from the sidelines. If he’s not at a game, you might find him at the lake fishing with friends or planning his next deep sea fishing trip. When he really wants to escape, Daniel’s hidden talents come to life on canvas, where he can lose himself for hours creating his next oil painting masterpiece.